When an elderly person over the age of 65, starts to forget things and gets easily confused, it might be a good idea to get a medical evaluation for dementia. Put simply, dementia is an umbrella term used to describe a group of diseases that lead to a decline in the ability to think, reason and lead an independent normal life. When a person has cancer, one automatically asks, cancer of what? Similarly, when talking about dementia, we need to know which type as it’s not a specific disease but a syndrome. It happens due to damage to brain cells and is not a normal part of ageing, even though it’s commonly seen in elderly people. It includes problems such as inability to dress or eat, solve daily problems or control their emotions; they become easily agitated and their personalities undergo a sea of change. It’s hard on the family to lose a member this way. They lose their memory and are unable to recognize people close to them. Their mental agility, understanding, judgment and language skills are all affected and they become prisoners of their own minds. Different disease conditions like Alzheimer’s, Lewy body disease, vascular dementia, frontotemporal dementia all lead to irreversible progressive dementia. Other disorders linked to dementia include traumatic brain injury, Parkinson’s, Creutzfeldt-Jakob disease and Huntington’s disease which is due to genetic mutations in the brain and spinal cord. As some forms of dementia are treatable and can be reversed, it’s important to visit a doctor at the earliest to determine the underlying cause. With longevity of life increasing in the developing and developed nations, the number of people living with dementia is increasing. Treatment is usually conservative and dependent on which part of the brain is affected with damage of the nerve cells. Some form of dementias get progressively worse with time while others may be caused by vitamin deficiencies or reaction to medications and hence easily reversible. Numerous dementia-like conditions that can be reversed with treatment include those due to nutritional deficiencies, subdural hematomas, reactions to medications, metabolic problems and endocrine disorders, infections and immune disorders, brain tumors, anoxia, poisoning and normal-pressure hydrocephalus. Uncontrollable risk factors for dementia include ageing, a family history, Down syndrome and mild cognitive impairment; other risk factors that can be controlled include smoking, alcohol, diabetes, depression and sleep apnea. 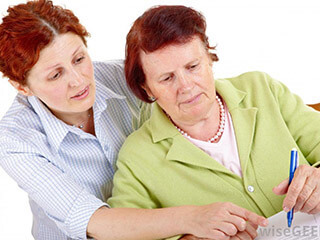 Diagnosing dementia can be challenging and include a complete medical history, physical examination, psychiatric and neurological evaluation as well as a battery of tests including MRI, CT and PET scans. Certain drugs can be used to manage the symptoms of dementia along with the help of an occupational therapist and a modification of the home environment to make it less cluttered and dangerous. Some schools of thought believe that nutritional supplements, music, art, massage and aroma therapies may be beneficial for dementia too.